Core scripture: “All Scripture is breathed out by God and profitable for teaching, for reproof, for correction, and for training in righteousness, that the man of God may be competent, equipped for every good work” (2 Timothy 3: 16-17). Message: There is no doubt I love my boys; however, there are always those moments that make you extra proud. Most recently it was my seven-year-old. You see, we got him his first devotional for Christmas. It is this interactive book full of scripture, stories, and activities (word searches, pictures to draw, journals, puzzles, etc) that young kids can do. I told the little guy he could get into a routine of doing this on his own and that I would help him if needed. Me help? Not so much. He was so independent that he wanted to start it on his own. I came home from work last week to see that he emptied his closet of the laundry basket and set up a long, comfy blue pillow next to a clip-on lamp. He even created a secret note on the outside of his door that read something like, “Nobody is allowed in here except me and my devotional.” It was written with one of those secret decoder pens that only reads the message when you flash a light on it a certain way. Talk about a proud papa! He’s finished three of them since that day. And so began my son’s quiet time. It made me remember my first quiet time. I wasn’t encouraged to do so until I was a freshman in college. My dad gave me a copy of a devotional he had read every morning called the Secret Place. The first night I cracked it open, it was well past midnight. I lay on my top bunk reading with a flashlight. The message was just what I needed to hear: God was always with me. It didn’t matter how far I was from home; I could never escape His love. I told my son about that moment when I gave him that devotional. My quiet time has changed through the years. As much as I enjoy writing, I knew I had to add that into my routine. Journaling. Letters to God. Reflection notes on scripture and Christian books. I have added in accountability groups and Bible studies with other men and video studies on www.rightnowmedia.org. Anything that challenges me. I try to mix it up throughout the week to keep things fresh, and I always begin with a prayer. Utilizing the talents that God has blessed me with during my quiet time has allowed me to flourish. That is my challenge for you in 2018. What do you do best? Where do your spiritual gifts reside? Practice them. Every day. Luke 9:23-24 reminds us to take up our crosses daily. Your quiet time will be unique, fulfilling, and will draw you closer to God. If you are stuck in a rut, try something new. If you are struggling with making time, carve it out. God is available 24/7. Are you ready to discover the amazing things God has planned for you in 2018? Those truths are sure to spill into your lessons and interactions with your students, guiding them toward Christ through your selfless actions. And guess what … If my seven-year-old can do it, so can we! 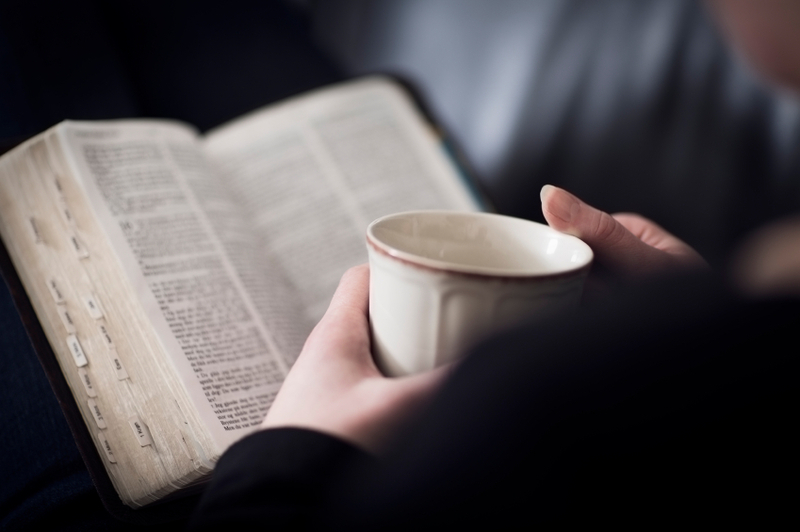 Challenge: What do you do for your quiet time that works for you? Do you have any ideas to share with fellow Christians? Reply to this blog and share them. Read the Bible. What part should you read? Try doing an internet search over specific topics that intrigue you or areas of weakness you need to improve upon. Journal! Being spiritually gifted in this area makes this one of my favorites. Try writing about Biblical perspectives. Try writing a letter to God. Write about spiritual warfare going on in your life. Get your feelings out! Listen to music. Utilize the many Christian bands that are on YouTube or just get out your MP3 to listen to the songs you need to. Read a Christian book. There are plenty of them out there over numerous topics that intrigue. Lifeway and Mardel have excellent selections. Meet with a Christian friend or accountability partner. Accountability is huge if you want to challenge yourself. This should be more than just catching up on life and enjoying coffee together. Ask each other the hard questions. Challenge one another. Dig into the Word, and watch your relationship with Christ blossom. Take a walk or a jog while listening to Christian music. Exercise is great for the body, but if you’re training your mind through songs of faith while you’re at it, all the better! Write notes to people who need it. These could be anything from a note of appreciation to a sympathy card. Reaching out to others is an amazing feeling. Pray some more. And then pray again. Lift up anyone you feel God is placing on your heart, give Him thanks, confess your sins, and always praise God for his omnipotence. It is difficult to go wrong with prayer so long as your heart is with God. Be at one with nature. If you have a quiet patio, utilize it! Seeing God’s creation around you is inspiring. A change of scenery from your living room chair might spice things up. Memorize scripture. It will help you face life’s challenges if you have it in your heart. An easy way to do this is with flashcards or through repetition. Bible story: One of the most famous quiet times ever came when Jesus retreated to the Garden of Gethsemane. Read about this in Matthew 26:36-46. What would your prayer sound like if you were in the same circumstance? Do you ever use Jesus’ famous line “not my will but yours” in your prayers? Prayer: Lord, as the new year begins, renew my devotion to You. Let me give You the time You deserve and feast upon your Word. Amen.